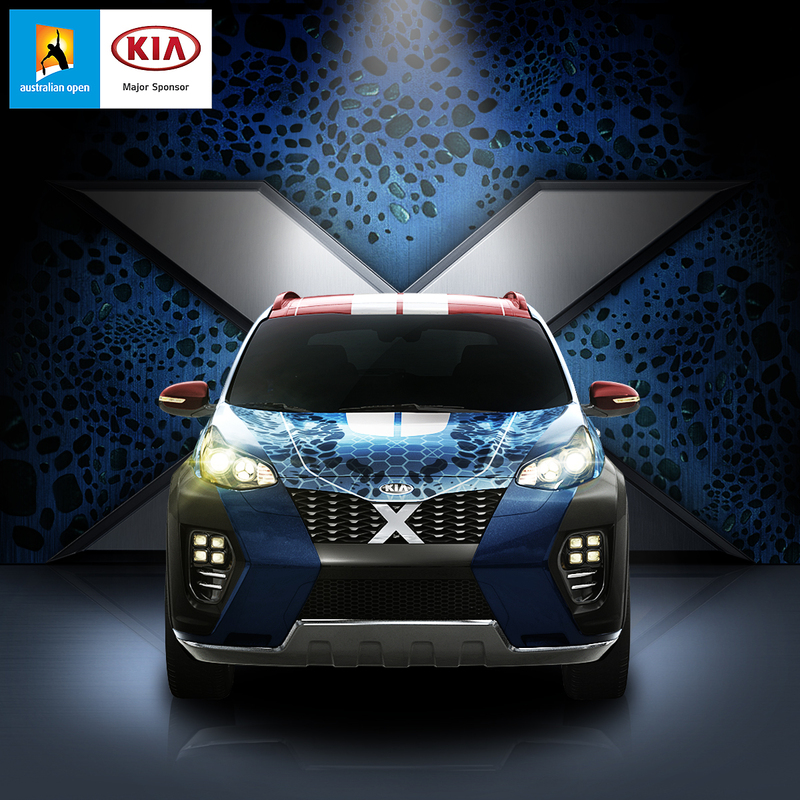 Kia's newest creation is called the X-Car and it was made in collaboration with X-Men: Apocalypse. 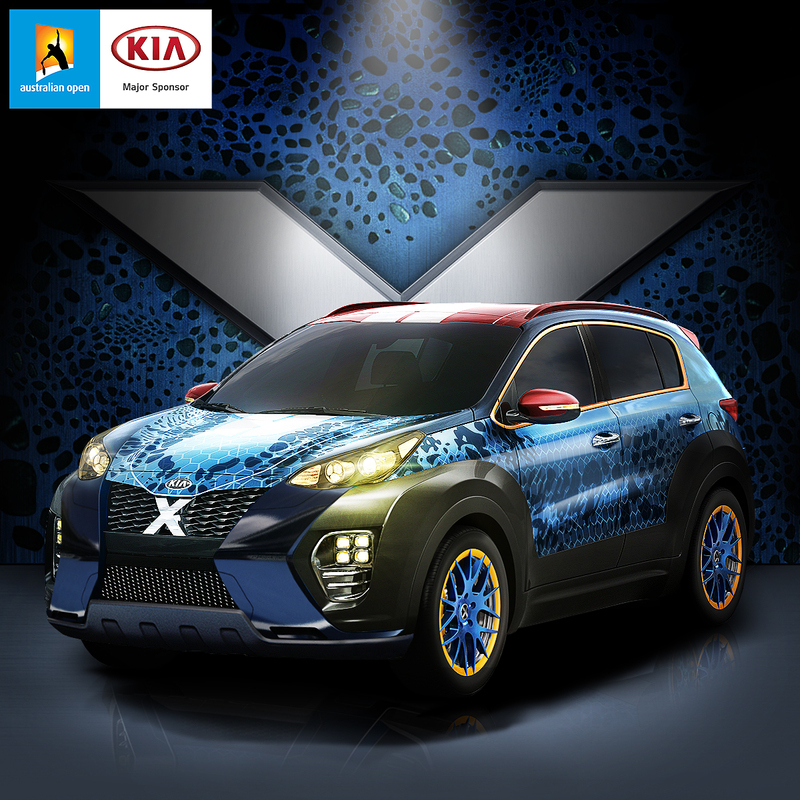 The X-Men character Mystique-inspired CUV is mimicking the appearance and powers of the famous shape-shifter and it features the custom-designed bodywork with the special textured tone-on-tone matte and gloss blue paint, the red and yellow bodywork highlights and the racing wheels and tires. Kia will take the wraps off the new X-Car on January 4, when a special online video with the brand ambassador Rafael Nadal will be released, as the world-famous tennis player will get to drive the one-off model. 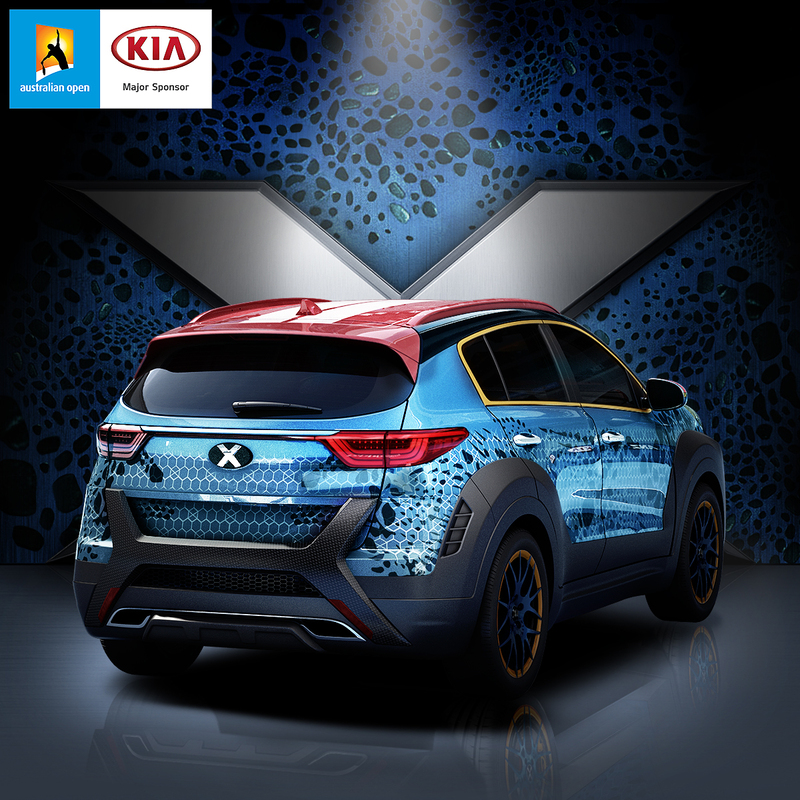 The Kia X-Car will then debut at the start of the 2016 Australian Open, and it will be displayed at the Melbourne Park throughout the tournament, between January 18 and 31. Following its Oz presentation, the automaker will bring it to various automotive events, across the globe, in the run up to the X-Men: Apocalypse premiere, which will be released in cinemas in May, 2016. 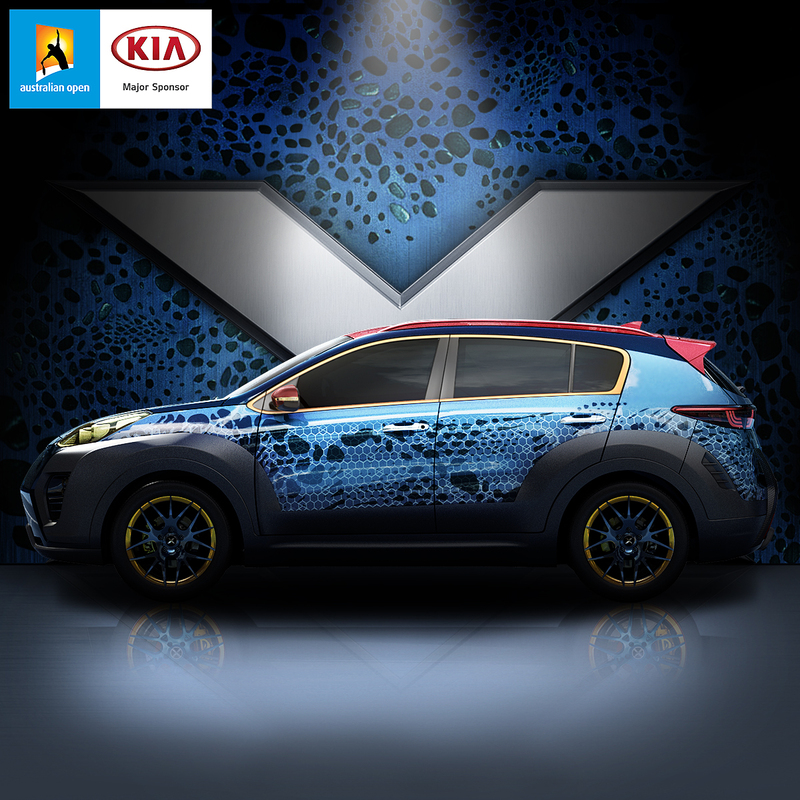 "The #KiaXcar I will be driving is inspired by X-Men hero Mystique. Isn’t this awesome? @ausopen2016 @Kia_Motors"